River Sutra explores the realms of classical Indian dance and its fuse with contemporary elements. Apparent will be influences not only of bharatanatyam and odissi, but also of Malay, Javanese and pop cultures. 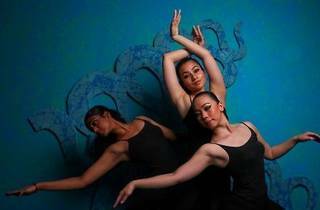 The routine is choreographed by Ramli Ibrahim and performed by students of the Sutra Dance Theatre.